For a chocolate treat that's full of soya protein, serve up Alpro Smooth Chocolate Dessert. The rich, chocolate flavour, the light creamy texture - after just one spoonful your guests will be converted to the delights of Alpro desserts. 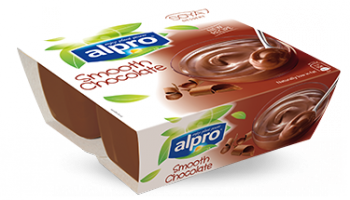 The Alpro Silky Smooth Chocolate Dessert can be sold separately to extend your range and boost your profits.